When we are wrestling in the places of barren and dry seasons it is hard to see the soil of our hearts as productive. But when God looks at us He sees our end from our beginning, He sees that we, as His daughters, are the blessed and the beloved of his heart. It is why He takes special notice of our hearts…He made them. And when we believe that, we can believe that He can do anything. Our hearts are fickle. We can’t truly know them. But He does. One of the reasons I find my heart always encouraged as I read through the 54th chapter of Isaiah is because it is a reminder of how He cultivates grace and mercy in the folds of our souls as He leads us in truth and wisdom in the journey. And the journey is meant to be full. I encourage you to begin reading Isaiah 54 and taking a slow journey through it, one verse at a time. 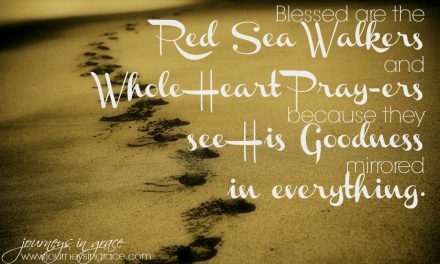 Over at the Table of Grace this week we started reading through the 1st 4 verses together. Over the next 3 weeks we will look at sections of this chapter in terms of their purpose: cultivation, covenant, and harvest. In the notes section of my Bible, there is an indication that this collection of verses is a ministry of grace upon the soul of a woman. It is written to all women who are seeking to be filled and showered with His gentle rain of hope and blessing. Are you waiting to be filled? 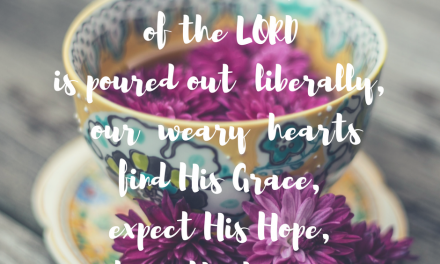 Are you waiting to be watered by grace? 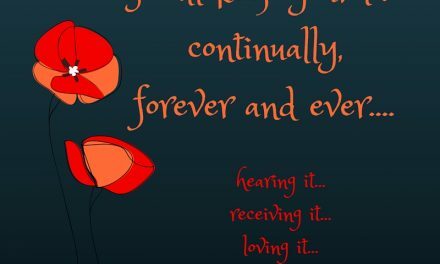 Are you waiting to be met by the One who is cultivating your soul? This chapter is meant to express the joy of those who are redeemed by the Lord, but woven in the words is a personal message for every single woman who has ever felt lonely, neglected, disappointed, less-than, and especially all those who are grieving a deep and painful loss. The theme is also a challenge to believe that the maker of your soul wants to nurture and care for your heart. And as a woman of God, you can hope for His heart to meet yours in understanding and acceptance. Look for the redeemer to meet you here in this dry and barren space as you bravely sing over the desert places. Step out in faith to enlarge the tabernacle of your habitation, both literal and figurative. Expect to know the rescue from those burdens that emptiness has piled up in your heart and he will spread out your boundaries and fills you with more and more of Him. It is easy to see that verses 2 and 3 work together. There is a command with a response to the obedience which follows. God’s Word is full of patterns all over the place, and we see a cause and effect relationship here. If you do this, then you will have that. In ancient Hebraic cultures, the women were the tent builders of the family. It was their responsibility to maintain their families. When God tells the barren woman, or the woman who is bereft and empty, to stretch out her cords and strengthen her stakes, He is asking her to act in faith. Her response to His call to sing and to enlarge her tent is a visible declaration that she believes what He says. 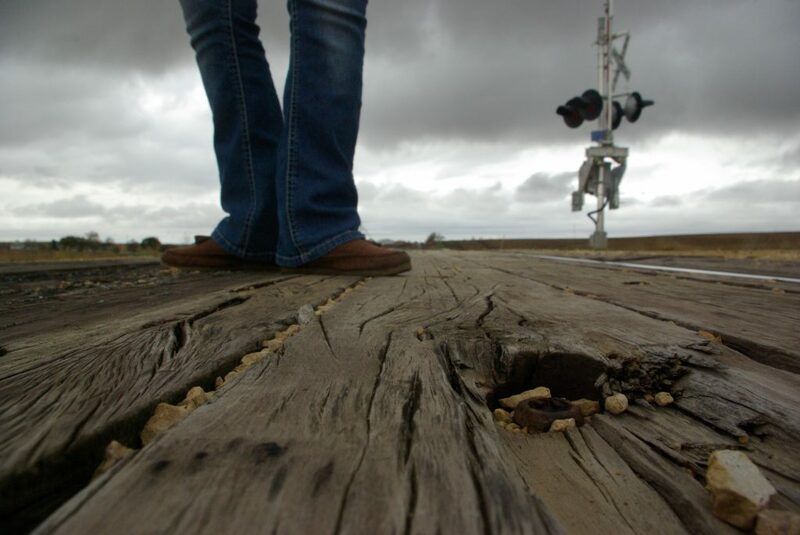 She is the just walking by faith because as He redeems her endeavors, He is also making her whole in the process. It was His filling that made her righteous, not the bountiful womb…the beautiful home…the best and the newest things… or the most respected positions. And because Hebrews 13:8 reminds us that Jesus is the same yesterday, today and forever, we can know that His redemption in our barren spaces is about filling us with more of Himself, as well. Think about the places that He has called you to step out in faith, and consider your response. Did you question why He called you to do something that didn’t make sense? 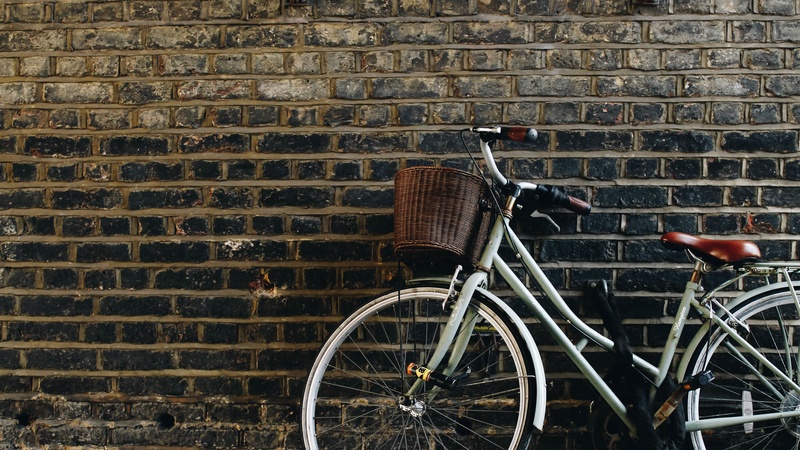 For an Israelite woman of the 8th century BC, barrenness was a shame-filled curse. It left them at the mercy of many who were unmerciful. Ridicule and unkindness was abundant for the woman who was empty and barren. 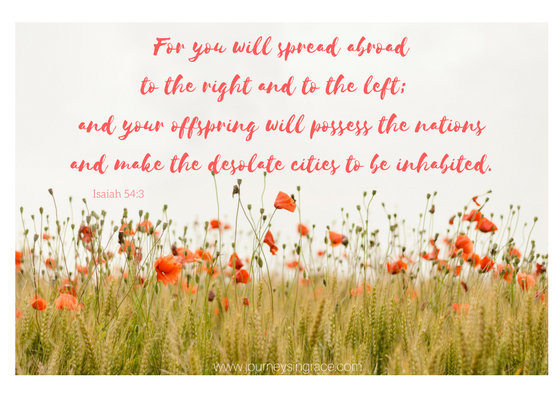 Isaiah was talking about the restoration of Israel from Babylonian exile that was to come, but he also shows us how to sing in faith over our lives today. Look at the repetitive nature of the 2nd verse and think about what each command is saying. Enlarge, Stretch, Lengthen, Strengthen…and spare not. Any repetition in God’s word is a glaring sign to pause and really look at what is being said. To have great reward, we must often take great risk. Isaiah 54:2-3 that God is not just focused on answering the void we find in our lives, the empty barren places that we are trying to cover with things that can never fill them. No, He has a purpose in the redeeming process that faithful obedience provides. Isaiah’s message to Israel can certainly be our message from the heart of the Father. You will be redeemed in spite of the empty places. You will be strong in spite of the journey that you have taken. You will have enough to fill the space He is calling you to enlarge. You will know growth because He is the author of the good that blooms in you. Growth and obedience are connected. n order to spread out, seed has to be sown in the embryo of our heart. That seed is encoded with life, with the plan of God for you and I and our journey. And it is meant to take root, strong and sure, in the deep secret place where our end and our beginning meet together and kiss. As we meditate on His promise, as we wait for Him to cultivate grace and mercy in our lives, hope begins to take root. The more we prepare for His will, we begin to expand with His hope in spite of what we see with our eyes. What is bearing fruit in your space that God did not plant? 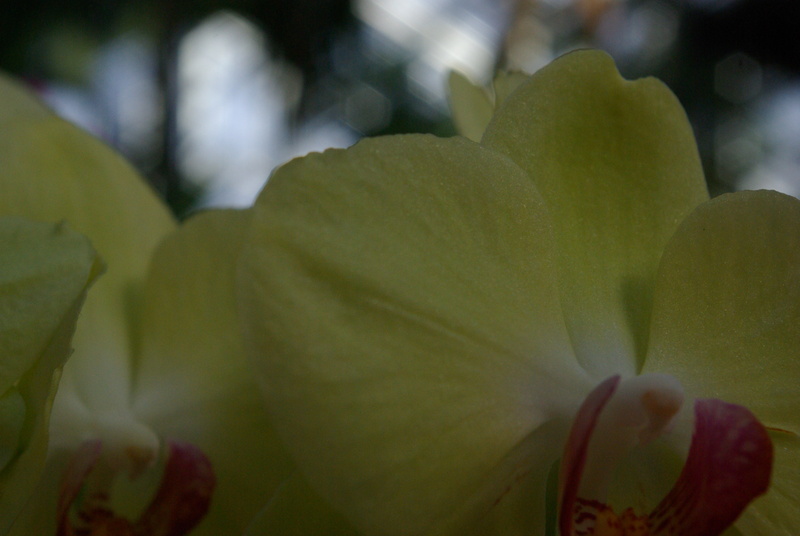 What is blooming that He has not intended to be hanging on the limbs of your livelihood? Where are you letting the hope of salvation be cut out of the field He has already planted in grace? Seeds are supposed to produce a harvest. 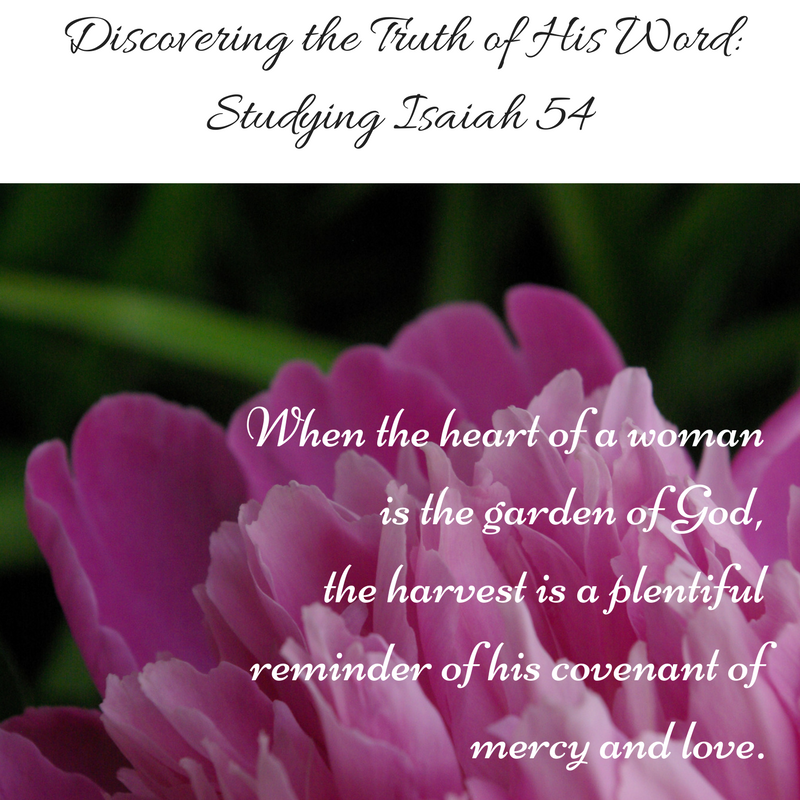 The same word for seed in Isaiah 54:3 is connected to the word for seed in Genesis 12:7 where God told Abraham that he would give the land he saw to his descendants. Abraham was a man who was renamed by God to inherit a blessing he couldn’t fathom. He was a man who hoped against hope. And in this chapter that is meant for the emptied heart of a Daughter of Eve, we are being challenged to look into the vast land before us and trust that God is going to scatter himself over our days, that our inheritance is His to give and that we can trust Him. It is time to hope against hope. It is time to believe for more than with God. It is time to let your soul be cultivated by the gentle and merciful hand of the Master Gardner who has already prepared for the expansion of your faith. God is waiting to fill your empty places with a measure of Himself, friend. Enlarge that space that you have been waiting in. Spread out in all directions as you prepare to possess the inheritance of grace. Shout and sing in joyful expectation that God will do something amazing in when you give Him everything; emptied hands are receptive hands. Let Him rescue you in the difficult spaces. Rest in the promise of His Word. 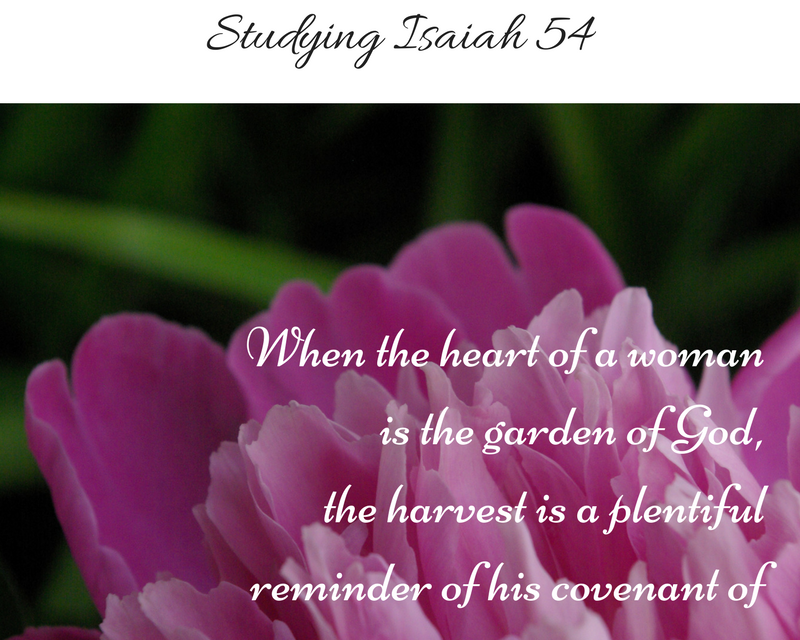 The Heart of the Woman Series is a Bible Study for each and every one of us. Join me in March as I revisit this chapter of Isaiah once a week on Saturday, and feel free to join me to discuss what we are reading through the week, along with a schedule at the Table of Grace FB Group. Dawn, you had me crying with this one — the good kind of crying, the one that comes out of a heart that found hope in here. Thank you for this, and for your faithful and beautiful heart that keeps pouring out these words of grace. I’m always so thankful when I visit this space of yours. May the Lord bless you, my friend! “But when God looks at us He sees our end from our beginning, He sees that we, as His daughters, are the blessed and the beloved of his heart.” Ah, these are words and thoughts to soak in! Thanks, Dawn. SO much goodness here, Dawn! 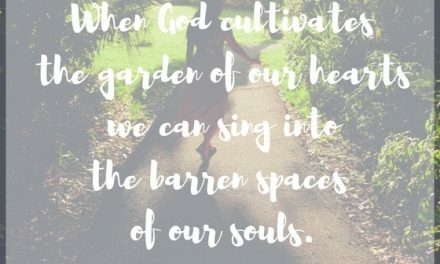 I just wrote about not being able to know even our own hearts too- I love how you turn it around to highlight how God knows and works in the folds of our hearts though. Thanks for sharing all these empowering, strengthening truths! Elisha told her not to collect just a few. She had to have faith to obey. And God poured out for her a supply that she could not have imagined. Thank you for this beauty. Your words hit me in the place I am at right now. I’m going to have to soak in Isaiah 54. Congrats on being Jennifer’s writer of the week. I love your words! We need to expect the harvest. Plant, watch, wait and expect the harvest. Great word! Praying you sense the anointing of God as you write. May He increase your reach! Every time I come by here, Dawn, I’m met with so much beauty & grace. Thank you for speaking that into our lives. And thank you for linking up at #ThreeWordWednesday. Dawn, I think this is the first time I’ve landed on your site. The Bible study was good – deep and meaningful. Amen to this: “God is waiting to fill your empty places with a measure of Himself, friend.” If we’ll simply remember His truth. Visiting via #chasingcommunity. Your devotion centered on Isaiah 54 is moving–with words so needed by us living today. 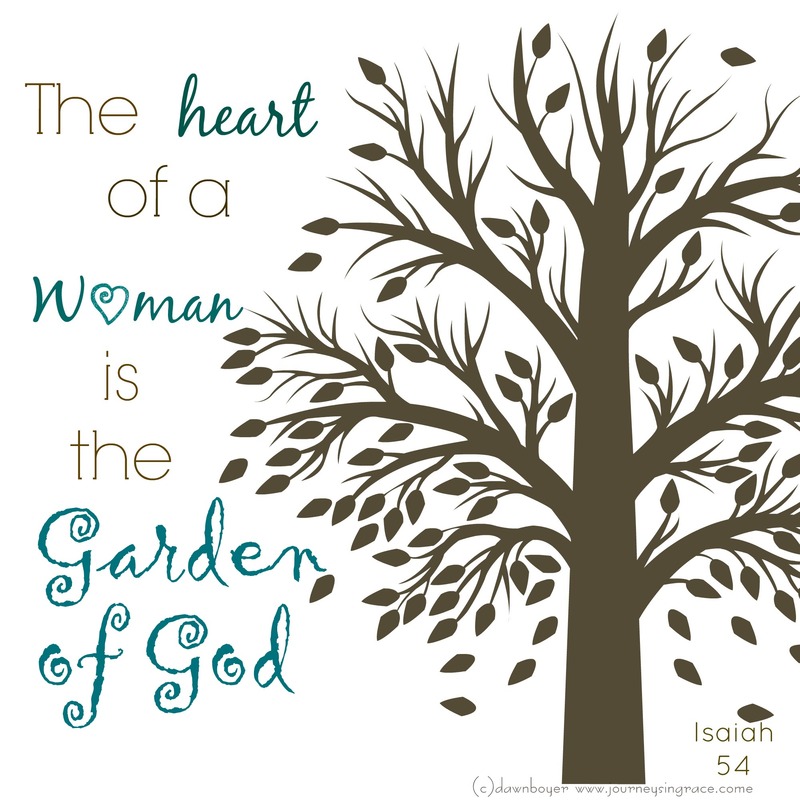 “When the heart of a woman is in the garden of God . . .” Thank-you for this focus on Isaiah’s timeless wisdom. I’ve been reading in Isaiah lately, too! I love this! Thanks so much!